WE’RE ON HOLIDAY - Bestellungen werden wieder dem 8. September, verschickt - HAPPY HOLIDAYS! Uneven skin color and age spots can make skin look old beyond its years. Age spots and discoloration begin when melanin, the skin’s predominant pigment, is overproduced1 and unevenly distributed.2 This is medically termed hyperpigmentation. Cosmesis Advanced Lightening Cream contains three natural compounds that, in combination, correct skin tone and dark spots—resulting in younger-looking skin. 1. Alpha-arbutin, derived from bearberry plant leaves, removes pigment from age spots and helps inhibit further melanin production (melanogenesis) by up to 60%.3 In one clinical study, over 80% of individuals who topically applied alpha-arbutin showed noticeable reductions in the appearance of age spots in just three months. 2. Indian gooseberry binds to copper, which inhibits an enzyme (tyrosinase) involved in melanin production.6 Scientists found that topical application of Indian gooseberry extract substantially faded facial freckles for 89.5% of participants after just eight weeks. 3. Niacinamide—a derivative of vitamin B3 or niacin—evens out skin coloration via a different mechanism: it suppresses transfer of already produced melanin to the main cells on the skin surface (keratinocytes) by up to 68%.7 In a double-blind clinical trial, topically applied niacinamide reduced total areas of hyperpigmentation by 25% in eight weeks and subjects reported lightened skin. 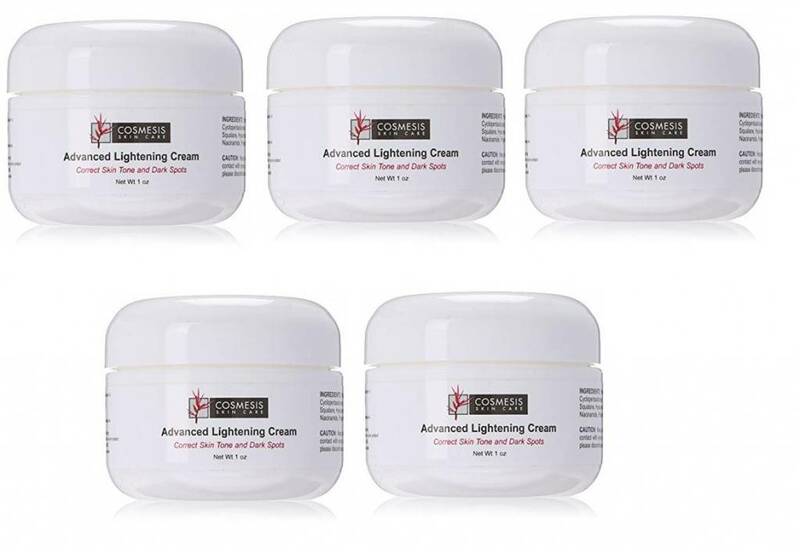 Cosmesis Advanced Lightening Cream incorporates all three of these compounds into one synergistic formula that noticeably evens out pigmentation for a youthful, radiant skin tone. It is excellent for all skin types and can be used daily. Purified Water, Carthamus tinctorius (Safflower) Seed Oil, Cyclopentasiloxane, Dimethicone, Cetearyl Alcohol, IsoPropyl Myrisate, Squalane, Hyaluronic Acid, Alpha Arbutin, Phyllanthus emblica Fruit Extract, Niacinamide, Polysorbate 60, Phenoxyethanol, Ethylhexylglycerin. Apply once or twice daily on targeted areas of the skin to correct. Discontinue use if redness or irritation occurs. If product contacts eyes, rinse thoroughly with water.